Ohio St. Starting QB J.T. Barrett Suspended After Alcohol-Related Arrest. J.T. Barrett. Image via CBS Sports. From the "Things Urban Meyer really didn't want to hear during Ohio State's bye week" come word that newly-named Buckeye starting quarterback J.T. Barrett had a run-in with the law early Saturday morning. 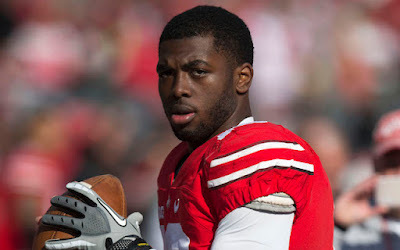 Barrett was arrested in Columbus on charges of operating a motor vehicle while impaired (OVI) near the Ohio St. campus. ESPN reports that the school has suspended Barrett for the Nov. 7 game against Minnesota it is unclear whether he will suspended beyond that date. Game Day Goulash: Faton Bauta, Tracy Claeys, and more. The Faton in Our Stars. Game Day Goulash: Luther Campbell's Miami Wish List, Dan Mullen, Mark Richt, And More. Game Day Goulash - Thursday Oct. 29 edition. Jim Harbaugh Has Some Sneaky Advice For Trick-Or-Treaters. Venerable Detroit TV station WXYZ sat down recently with first-year Michigan head coach Jim Harbaugh. With Halloween on the way, the subject of Trick-or-Treating naturally came up. When asked about his Kids' Halloween costumes, Harbaugh gave some handy - not to mention really sneaky - advice for all the little Trick or Treaters out there. Remember in today's "Welcome to the Fallout" how I mentioned that Miami athletic director Blake James said the school had no plans to fire head coach Al Golden following the Hurricanes' 58-0 loss to Clemson? Well guess what? Miami has announced that it has fired Al Golden. Week 8 Fallout: Nick Saban, Jim Harbaugh on Jake Rudock, Al Golden, and more. Welcome to the Fallout - Oct. 25 edition. Ohio St.-Rutgers Game Produces Hype Video With The Most Annoying Music Of The Season. Thanks to a conflux of scheduling and contractual agreements, ABC somehow got stuck with Ohio State and Rutgers as its prime time Saturday night game. It's being spun as an important game as its the first time Ohio St. has ever played at Rutgers. Sadly it comes at a time where the Scarlet Knights program is in a little bit of chaos, which has resulted in its lackluster sophomore season in the Big Ten. This hasn't stopped Ohio St. from releasing a hype video for the game. On the negative side, the video may win the award for "most annoying music in a hype video" this season for almost an entire minute of buzzing noise that transitions into dub-step, then into generic dramatic music. From the "Kick 'Em When Their Down" department comes a couple of videos of the Cal-UCLA halftime show on Thursday night, where the bands of both schools came together to reenact the Trojan War. Welcome to the Fallout - Week 7 edition. Game Day Goulash: Jim Harbaugh, Connor Cook, Mack Brown, And More. Game Day Goulash - Week 7 edition. How Michigan Got Its Groove Back. 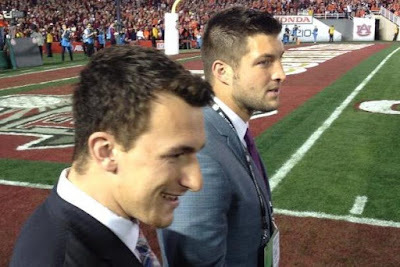 Johnny Manziel with Tim Tebow, just because. Image via Awful Announcing. Want to hear the SEC Network's Tim Tebow and Marcus Spears discuss their impressions of Texas A&M's recently refurbished Kyle Field? Thanks to Texas A&M football's Twitter feed, you can. Notre Dame Releases Hype Video For Rivalry Game With USC. Notre Dame has released a hype video for this Saturday's USC-Notre Dame game. The recent turmoil at use apparently hasn't put a damper on Notre Dame's desire to beat the Trojans, and it shows in this video. If you're the kind of person who believes ND lives in the past too much, this video will do nothing to undermine your argument. It focuses on the history of the USC-Notre Dame rivalry from a Fighting Irish point of view. 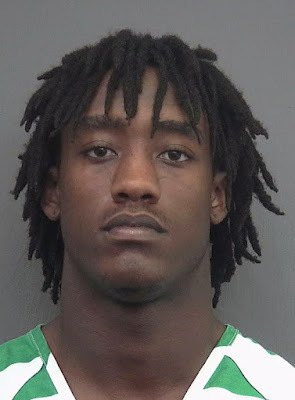 Florida DB Deiondre Porter Arrested On Charges Of Pointing Gun At Head Of Girlfriend. Deiondre Porter. Image via Deadspin. Another Florida player is in trouble with the law. Freshman defensive back Deiondre Porter was arrested Wednesday on five charges related to an alleged series of fights with his girlfriend. Mark Dantonio Will Have None Of Your Speculation Of His Leaving Michigan St. For South Carolina. Mark Dantonio. Image via Lansing State Journal. 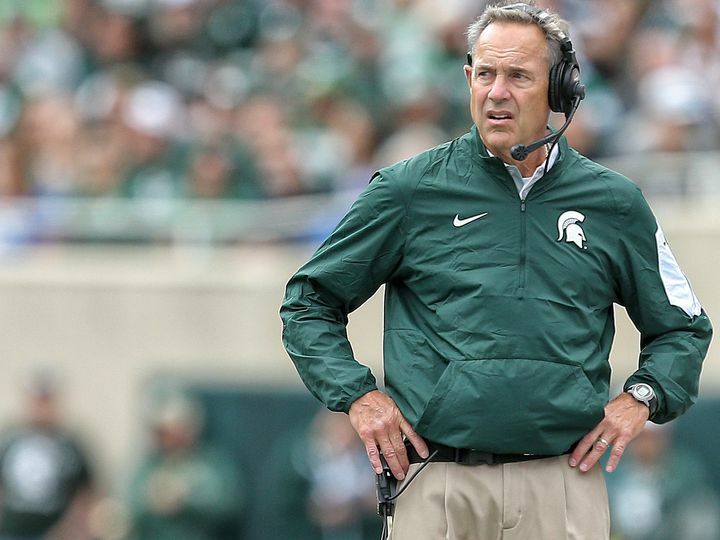 Michigan State head coach Mark Dantonio has never been on for BS. 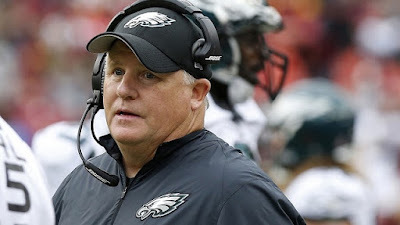 So when the first question of his weekly press conference brought up the possibility of his replacing Steve Spurrier as HC of South Carolina, he quickly shut any talk about it down. Florida Starting QB Will Grier Faces One-Year Suspension For Violating NCAA Banned Substance Policy. 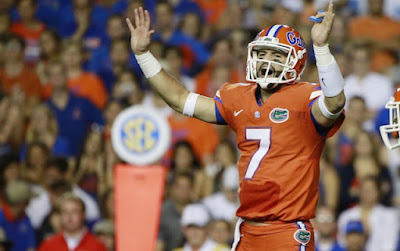 Florida starting quarterback Will Grier is facing a one-year suspension after reportedly testing positive for a performance enhancing drug. Steve Sarkisian taking leave of absence from USC head coaching duties. Multiple sources are reporting that USC head coach Steve Sarkisian is taking a leave of absence. 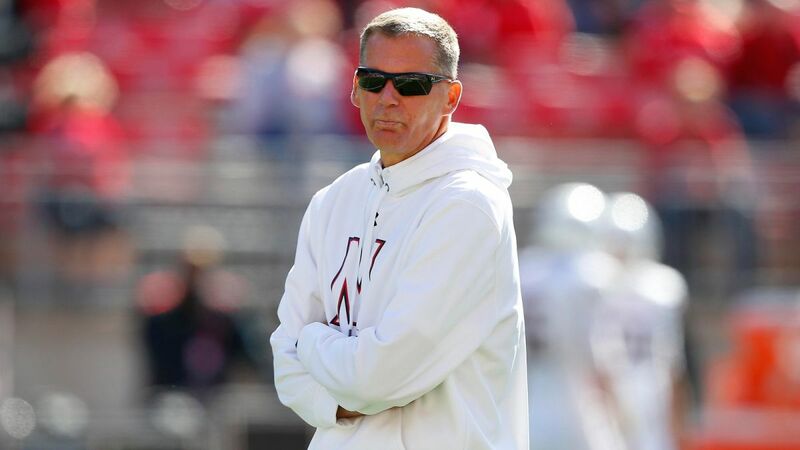 Report: Randy Edsall Is An Ex-Maryland Head Coach. Randy Edsall, Image via FOX Sports. Randy Edsall is an ex-head coach. Maryland has announced via a statement that it has fired Edsall on Sunday afternoon. Hate not posting anything on a game day Saturday, but some ongoing medical stuff is driving me up the wall right now. Hopefully will be back tomorrow. Game Day Goulash: Randy Edsall, Mack Brown, OJ Howard, and More. Game Day Goulash - Week 6 Thursday edition. Pig Howard. Image via Rocky Top Talk. Pig Howard is an ex-Tennessee wide receiver. The senior WR was dismissed from the team for the ever-popular, ever-vague "violation of team rules." Big Ten Fallout: Ezekiel Elliott, Urban Meyer, L.J. Scott, And More. 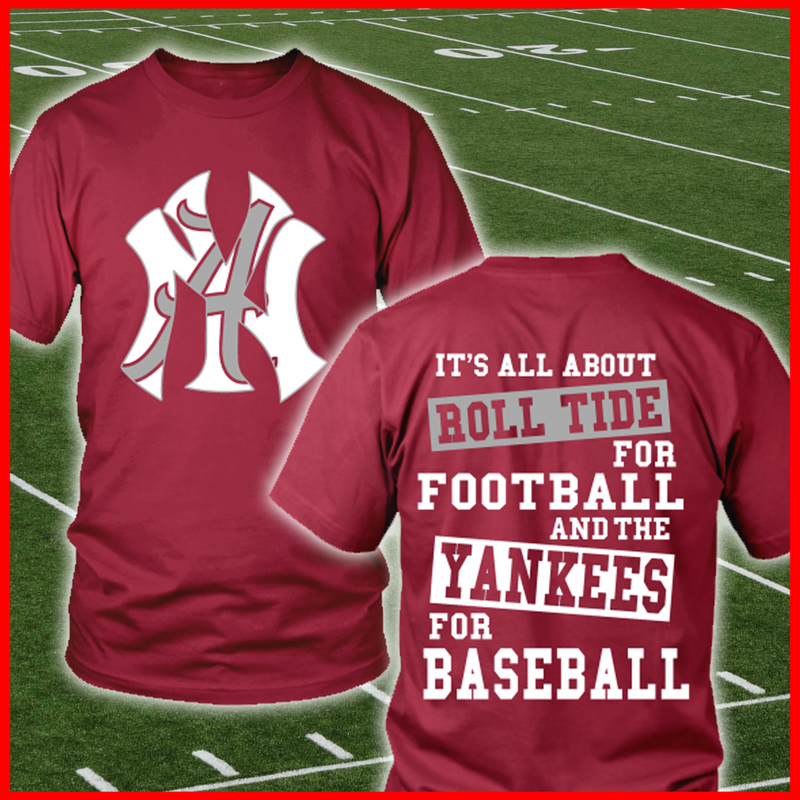 Yes, There's A T-Shirt For Those Who Like Both Alabama And The Yankees. Can't decide to get that certain someone in your life who is both an Alabama football fan and a New York Yankees fan? (Yes, these apparently exist). Well, Sportsmashups.com has just the thing. 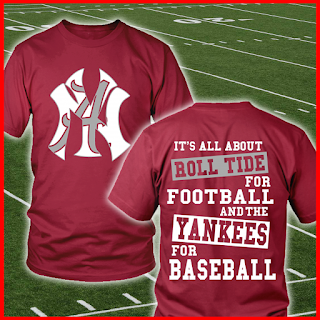 It's a t-shirt that merges the iconic 'Bama and Yankee emblems. The back says "It's all about ROLL TIDE for football, and the Yankees for Baseball." Oklahoma hype video celebrates "early morning" game with...SHOW TUNES! Today's Oklahoma-West Virginia game Noon ET/11:00 AM CT is an early start in Oklahoma terms. The Sooners don't seem to be letting it get their head, though. Or is it? The school has released a hype video for the game, but instead of the usual rap or dramatic film score-like music, the Sooners went with...SHOW TUNES! 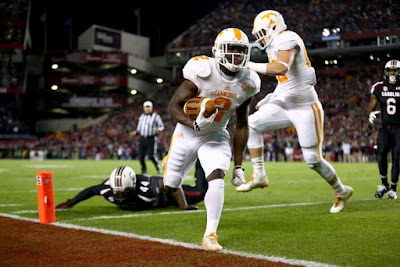 Game Day Goulash: Nick Chubb, Al Golden, Dalvin Cook, And More. Game Day Goulash - Oct. 2 edition. Wisconsin Adds Four-Star DT Prospect Garrett Rand To Its 2016 Recruiting Class. Garrett Rand. Image via scout.com. Wisconsin has added a 20th commitment to its 2016 recruiting class. Chandler, Az. 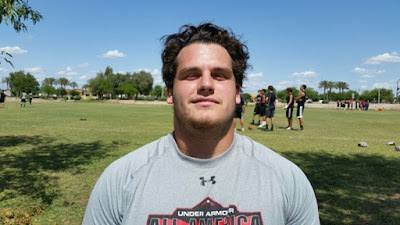 high school senior defensive tackle Garrett Rand committed to the Badgers on Thursday. Game Day Goulash: Leonard Fournette, Jayon Kearse, Will Grier, and more. Game Day Goulash - Week 5 Thursday edition. The Sign of the Fournette.